Vast experience, expertise and appropriate equipment for moving museum exhibits. Full project planning and management! Whatever your work of art is we can handle it in a very secure way. Proper work of art moving crates, cases and crates! Complately free museum relocation project planning meeting. Call us to book it today. You have nothing to lose! It does not happen very often but even such large organisations like private and public museums have to move. Why they have to relocate? Well we have planned and successfully organized quite a few museum relocation projects and the reasons for moving were always different. Some have moved because they had run out of space, some had to refurbish and refresh they existing buildings, change the air conditioning or have been sponsored a new, very modern and purpose build building. However the main reason why museum movers are recently as often as not needed is the shortage of space. Almost all museums have been gathering antiques, paintings and sculptures for years and because of the lucks of space they have been forced to put some of them into the storage. Once a museum has collected or have been awarded a sufficient amount of money to build a new museum they contact us for help to plan their museum removals to a better, bigger, more practical, easy access building. Most of such big projects are awarded to a museum mover through a long, very detailed and complex tender process. We have actually won quite a few of them as we specialize in moving fragile, priceless and breakable artefacts. You are wrong if you think that every removal company out there is capable of relocating museum exhibits which quite often are very old, very delicate and can’t be replaced or fixed when damaged. The exhibits are usually very fragile, cost a lot of money and are of different shapes and dimensions. So far we have a vast experience in packing and moving such museum exhibit like antique furniture, paintings, glass displays, antique sculptures, cars, machinery, hand written books, historic items of different types and origin. 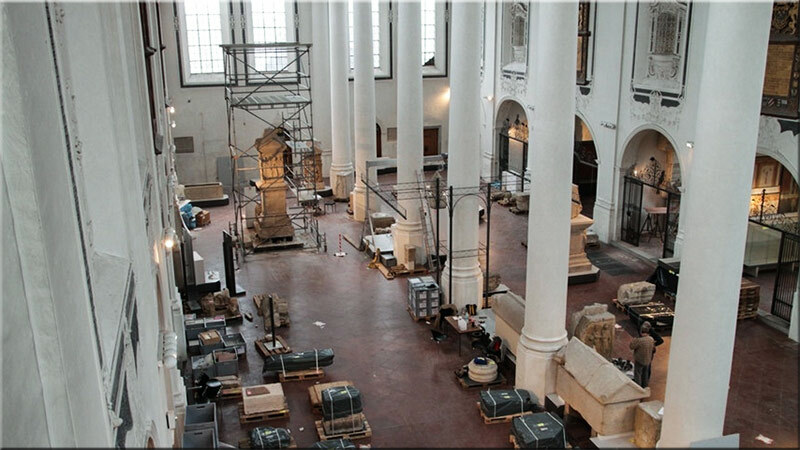 Museum moves require proper planning; very close cooperation with museum workers, restorers, and first and foremost adequate packing materials and moving equipment to the delicate nature of the project. 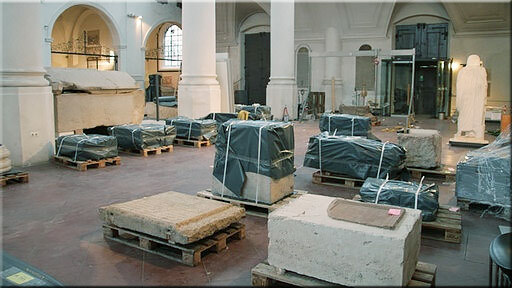 In most cases the museum items have to be transferred from the old site to the new museum in phases. It is not the best practise to pack everything at once and then move and unpack. Prior to the relocation all museum exhibits have to be catalogued, labelled and assigned to a new location. There is no place for making a mistake. Due to the high value of the museum antiques nothing can get lost or misplaced. Each museum move is always run by at least one project manager who plans the entire move, arrives to the site first and leaves it last. We always make sure that the same packers unpack the exhibits they have packed. Such an approach significantly reduces the risk of potential damages. If required we even take into the account the temperature and weather conditions. Rain, cold or heat can have a devastating impact on the delicate and ancient finds. We always get familiar with the local area, its specifics, and congestion and plan the shortest, quickest and safest route. In case of any special, additional or unexpected requirements we have always extra guys available to speed up the move. The most difficult aspect of each museum move is the number of unique items which are characterised by different shapes, sizes and resistance to shocks, shakes and rapid movement. Contact professional museum moving company to plan and carry out your move. Most of museums in the UK are located in London however we work around the country and around the clock. If you consider moving a museum in Edinburgh, Glasgow, Bristol, Manchester or anywhere within the United Kingdom we will be happy to provide you with our vast reference so you can contact other museums or art galleries and do some checks on us. Basically you do not take any risk. Simply invite our company representative to a survey meeting. Completely at no costs we will prepare the best plan and find out the best way of relocation your museum, library, exhibits gallery, treasury, archives, sculptures and ancient finds. We also specialise in moving art galleries and are equipped with work of art moving cases and boxes and wooden crates.